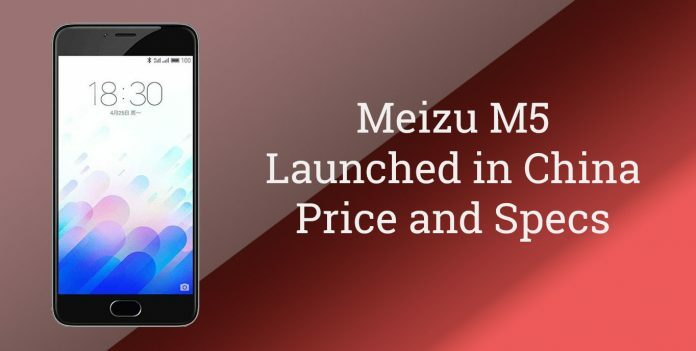 Meizu is pulling some serious gear this time. Already having raised the bar with screen and made some serious changes that are magnificent. It’s high time we should talk about this Chinese master that is ready to rectify all the previous setbacks. So let us discuss the features of Meizu M5. The phone has a 5.2 inches screen which has a resolution of 720 x 1280 pixels with 282 PPI. It is a multi-touch smartphone with the dimension of 147.3 x 72.8 x 8.2 mm. It has an IPS LCD capacitive touchscreen with 16M colours. It is a Dual Sim (nano) phone. The display is a good deal in this price range. Meizu M5 comes with fingerprint sensors to keep your phone safe and secure. Coming to camera section, it has a primary camera of 13MP with phase detection, autofocus and dual-LED flash. On the front, there is a 5MP secondary camera. Other features of the primary camera include Geo-tagging, touch focus and face detection. The camera has excellent image quality, and the features are all high end. In terms of operating system, Meizu M5 runs on Android 5.1 Lollipop with their custom UI. Under the hood, there is a Mediatek MT6750 chipset and an octa-core processor which is clocked at 1.5 GHz. The graphic needs of the phone are served by Mali-T860MP2 GPU. Meizu M5 phone comes in two variants, i.e., 16GB internal storage with 2GB RAM and other with 32GB internal storage and 3GB RAM. The memory can be expanded up to up to 256 GB with micro SD card. This phone is totally your thing if memory is your consideration. For communication purpose, it has Wi-Fi 802.11 a/b/g/n, Bluetooth v4.0, GPS and a microUSB port. It has a non-removable 3070 mAh battery which is powerful enough to stretch the standby time up tp 300 hours. The phone is available in Mint Green, Glacier White, Champanage Gold, Sapphire Blue and Matte Black colours. The phone will soon be released in November. Grab your Meizu m5 soon and enjoy all high-end privileges. The 2GB variant of Meizu M5 is priced at CYN 699, while the 3GB model has a price tag of CYN 899. The phone will soon be released in November. Grab your Meizu m5 soon and enjoy all high-end privileges.